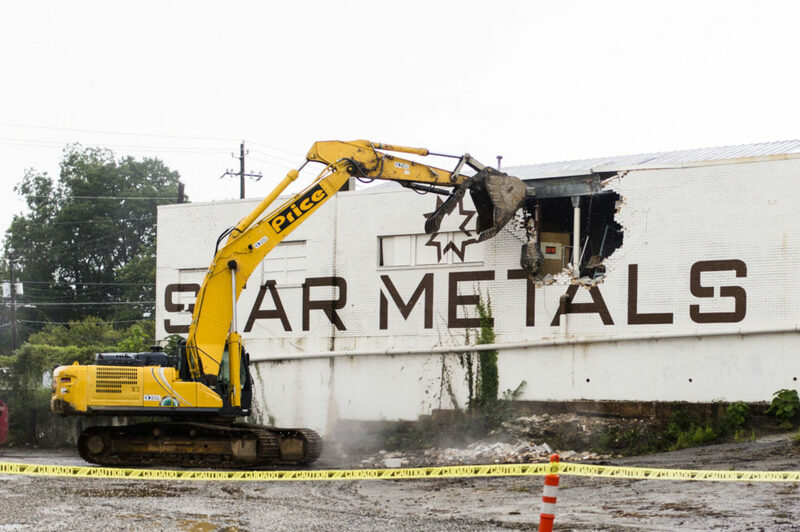 An existing building was demolished by a wrecking ball, the symbolic beginning of construction for the residential component of Star Metals Atlanta. Earlier this month The Allen Morris Company and Juneau Construction Company "broke ground" in West Midtown on the $130 million residential project Star Metals Residences. 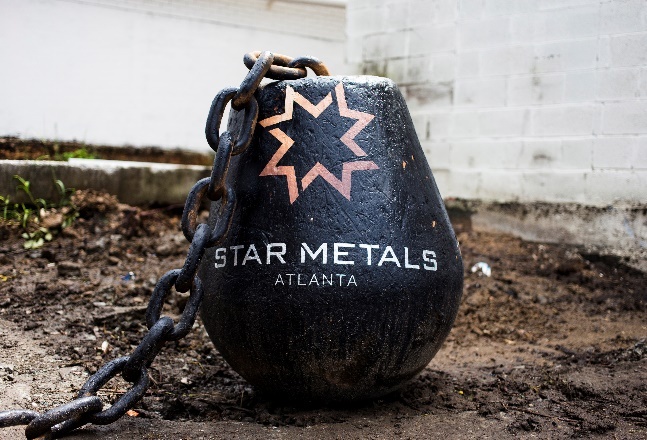 During the event, an existing building was demolished by a wrecking ball, marking the symbolic beginning of construction for Star Metals Residences, the residential component of the mixed-use community Star Metals Atlanta. Star Metals Residences is a 409-unit rental apartment building that will also include 16,300 square feet of retail. Star Metals Residences, at 1050 Howell Mill Road, is designed by Oppenheim Architecture and Dwell Design Studio, with interior design by Square Feet Studio. The property will offer residents ground-floor amenities including a private outdoor dog run, interior dog wash area, Uber drop-off room, package delivery to the resident’s door, and library with fireplace. Additional amenities on the rooftop include lounge and meeting rooms, indoor and outdoor activated rooftop bar and lounge, game room area with pool table, gaming systems and arcade games, outdoor ping-pong and bocce ball, a glass-box fitness center opening onto the pool terrace, outdoor grilling area, outdoor movie projection area, outdoor fire pits and seating groups. "The area is marked by the astonishing convergence of cargo train activities and its traces as a metallurgic production center; incredible past industrial conditions," Chad Oppenheim, principal at Oppenheim Architecture, said in a press release Wednesday. "The new building seeks to evoke the history and nature of the surrounding areas. The office building is broken down to grant different architectural characters for the tenants. We've designed amenities such as the rooftop garden and panoramic views towards downtown Atlanta to help connect people to the site and the place." The Star Metals Residences is part of the 4.75-acre Star Metals Atlanta development that also includes Star Metals Offices, the 14-story, Class-A office tower totaling 262,000 square feet that includes 35,000 square feet of retail and restaurants, as well as a 5,000 square foot rooftop restaurant with a dining terrace and urban forest. Star Metals Residences is slated for delivery in spring 2020.
string(36) "1050 Howell Mill RdAtlanta, GA 30318"